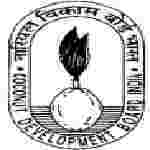 Coconut Development Board recruitment 2018 notification has been released on official website www.coconutboard.gov.in for the recruitment of total 05 (five) jobs out of which 04 (four) for Deputy Director (Development & Marketing), 01 (one) for Field Officer Vacancy. Job seekers should apply on or before 21st January 2018. Here on this page you will get the details like the Name of vacancies released by Coconut Development Board with exact number of posts. Some other criteria like Education details, application fee and way to apply application for Coconut Development Board recruitment 2018. Educational Qualification: PG Degree in Horticulture/ Agriculture/ Plant Sciences (with working experience of plantation tree crops) from a recognized University or equivalent with seven year experience for S.no-1, Secondary School leaving certificate with a pass in the Certificate/ Diploma course in Agriculture/Horticulture conducted by the Rural Institute/ Horticulture or Agriculture Department or equivalent with 2 years’ experience for S.no – 2. Fee charges: Applicants who wanted to participate for Coconut Development Board should pay the below charges through Demand Draft in favour of the Chairman, Coconut Development Board payable at Kochi. Interested and eligible aspirants may apply in prescribed application form along with original & Copies of certificate send to the Chairman, Coconut Development Board, Kera Bhavan, SRV Road, Kochi-682 011 on or before 21.01.2018.